We went to a water park in Durban on our rest day to celebrate Dave Fletchers birthday. 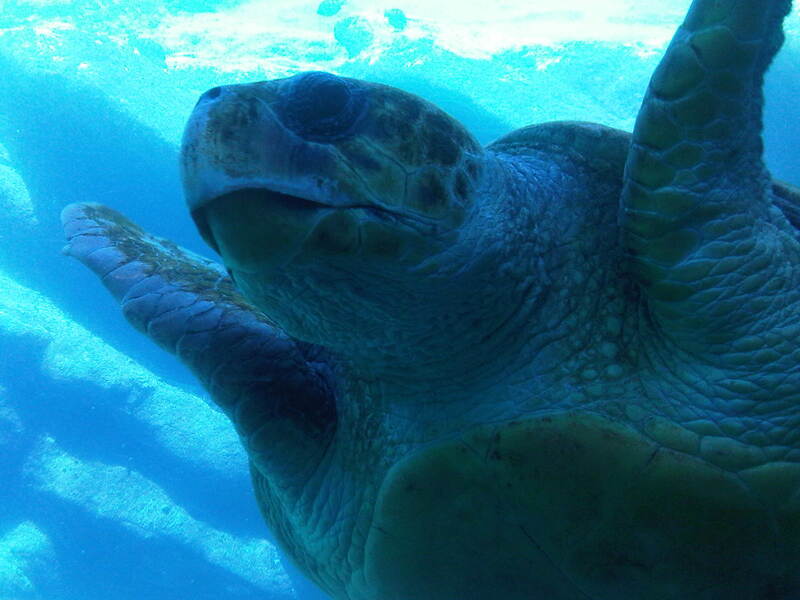 It was there, in the aquarium, that we met Napoleon the turtle. While the others cruised about in the hope they might see a dive assistant being eaten by a shark and trying to dispel the disappointment of the water slides being shut, I took some time to commune with Napoleon. You’ll not believe the stuff he’s seen and what he has to say on matters. You’d think that he’d be a bit upset with his circumstances, his freedom restricted and having to suffer the throngs of enquiring punters every day. But he was so chilled. He said the enjoyment he experiences from making his slow, fluid movements is the same no matter the volume of water he makes them in. He gets fed regularly and doesn’t need to waste his energy hunting for food allowing him more time to improve his mind (by playing Chess apparently). And he gets to see so much more in terms of human expression than any of his wild counterparts. We never fail to amuse him. Our awe struck faces make him giggle as you can see. He got me thinking about perceptions of contented ness. There we were, a bunch of mountain bike racers, diving about trying to experience everything more, faster and better whereas if we just stood still and tweaked our minds instead we could reach the place we are clamouring to find in our frantic movements. We have flown to the other side of the world to ride our bikes and while it is incredible here, the same feelings could be found riding from our back door. If we are able to think like Napoleon, that is, which is not always easy. He says more Chess might be the answer but his eyes were twinkling at the time. I think I’m in love with Napoleon and his beady eyed thinking. Do you think he’d be good in bed?